The Working on Wellness (WOW) program consists of weekly movement and healing classes for staff, patients, their families, and all San Franciscans. 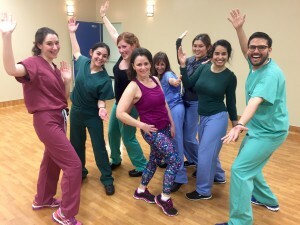 Classes include Strength Training, Chair Stretch and Boogie, Zumba & Zumba gold (low-impact), Yoga (offered in English, Spanish , and Cantonese), Hip-Hop, Salsa, Bollywood, and Healthy Cooking Demos. 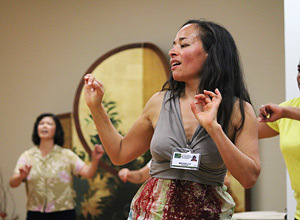 Wellness classes are free and open to all ZSFG patients, CHN Employees, community members, and all San Franciscans. For a full listing of our classes, please check out our season’s schedule below!